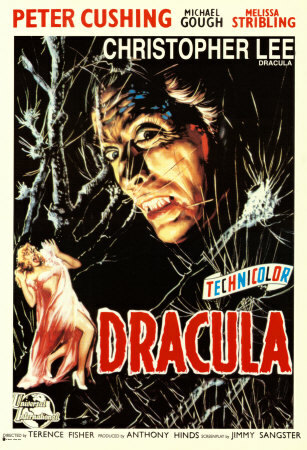 So, anyway, what did I think of Hammer’s Dracula? Honestly, I loved it. 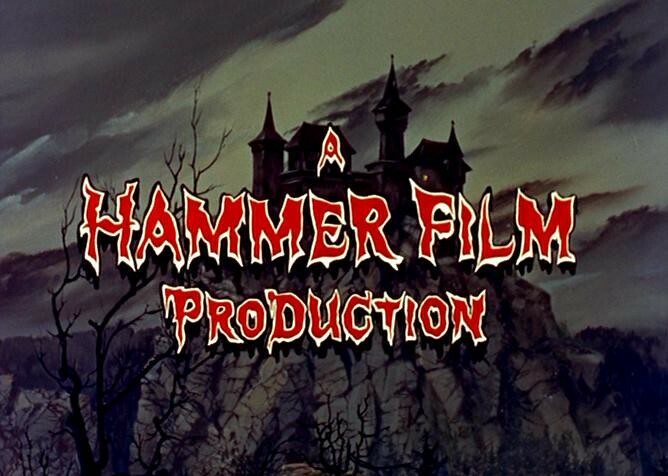 I now see why these Hammer movies are so popular. They are truly fun to watch. And the performances are excellent. 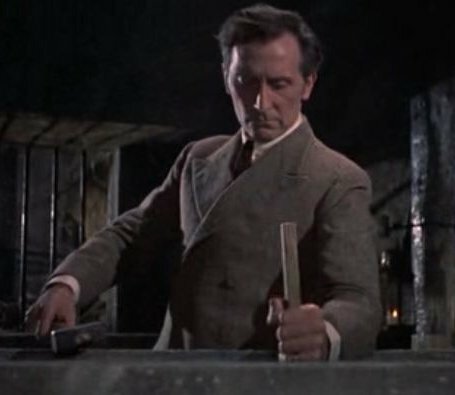 Again, Peter Cushing brings his A game to the Van Helsing role. He is so great. If you remember, I also loved his performance in Curse of Frankenstein. 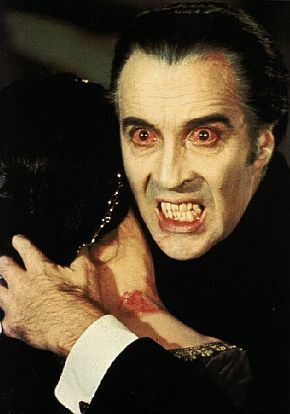 And Christopher Lee was great, if understated, as Count Dracula. He really only speaks to Jonathan Harker in the beginning of the movie. After that it’s all grunts and groans. But I liked the little bit Lee got to do with the character. And I love the oversaturated Technicolor palette Hammer went with on this movie. And the set design, wow, was it amazing. I just really enjoyed this movie. I’m looking forward to watching some of the Dracula sequels. Hammer next re-made Universal’s The Mummy’s Hand. It was released in 1959 as The Mummy and also starred Cushing and Lee. I may have to track that one down and watch it. Plus, I’ve still never seen Curse of the Werewolf with Oliver Reed, so I’ve got some more catching up to do with my Hammer viewing. This entry was posted on October 26, 2011 at 8:00 am and is filed under Halloween, holiday, monsters, movies, pop culture, vampires with tags AWESOME-tober-fest, AWESOME-tober-fest 2011, Dracula, Halloween, holiday, monsters, movies, reviews, vampires. You can follow any responses to this entry through the RSS 2.0 feed. You can skip to the end and leave a response. Pinging is currently not allowed. I watched both Hammer’s Dracula and Mummy this year. (http://wp.me/pQODE-rj) Their version of the Mummy is just as outstanding as the Horror of Dracula. You should check out one of their later Dracula films, the Satanic Rites of Dracula. Disregarding the name, it plays as a spy thriller in 70’s London with Dracula as an evil exec (if I remember correctly). Not as brilliant as this one, but it earns points for trying so hard.